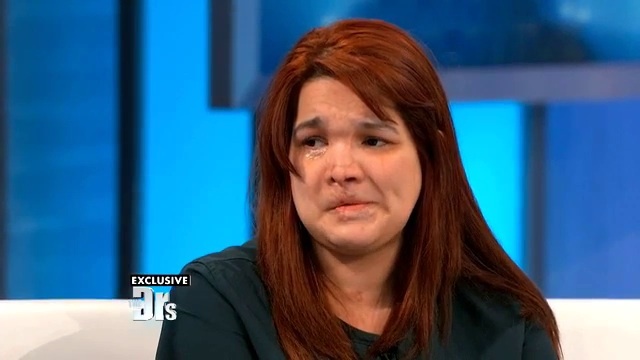 This episode of The Doctors features Jasmine, a young mother of four children who survived being hit by two cars. One evening as she walked to the store, Jasmine was successively run over by two cars and left for dead. Thankfully, a passing driver noticed her lying in the street and pulled over to call 911, saving her life. That night, Jasmine was pronounced dead twice, but miraculously managed to survive despite her devastating injuries. She sustained severe damage to her body, head, and face in the accident, which required extensive emergency and reconstructive surgery, followed by a long period of rehabilitation and recovery. Though Jasmine has healed considerably since the accident, and is incredibly grateful to be alive, she still faces many challenging physical and emotional obstacles. The injuries to her face have proven to be especially difficult to cope with, as her appearance has been dramatically altered as a result of the accident. In an effort to assist Jasmine in her next phases of recovery, The Doctors assembled a team of specialists to help her regain her appearance and further improve her level of physical and mental wellness. Dr. Joseph Willardsen was asked by The Doctors to be a part of this team to help restore Jasmine’s smile. The impact of the accident had broken her jaw, knocked out her four front teeth, and damaged the bone structure at the front of her upper jaw. Together with his brother Dr. John Willardsen, a dental implant specialist, the dentists shared their plans to rebuild the shape of Jasmine’s frontal maxilla to recreate her natural facial profile and provide support for four dental implants. Once the implants have healed, they plan to place four beautiful, natural-looking restorations on top of the implants to create a full smile. Jasmine tearfully accepts their help, which they donated free-of-charge, and looks forward to seeing her new smile in the near future. Stay tuned for the results of Jasmine’s facial and dental transformation on a future episode of The Doctors in Fall 2016.